By Contributing Author 9 Comments - The content of this website often contains affiliate links and I may be compensated if you buy through those links (at no cost to you!). Learn more about how we make money. Last edited February 10, 2014 . 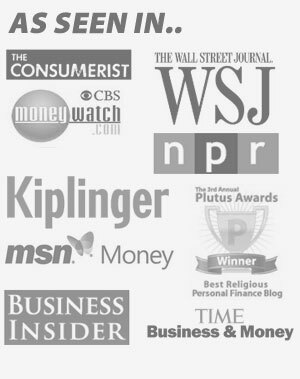 This article was written by Go Banking Rates, bringing you the best interest rates on financial services nationwide, as well as informative content and helpful tools. Spending has a lot in common with eating: both are about consumption, both require money, and too much of either can lead to serious problems. While the problems manifest themselves in different ways — an over-eater's waistline expands while an over-spender's bank account shrinks — the excessive behaviors that caused them can both be curbed by going on a diet. Before you begin your quest to get your personal finances in better shape, take a moment to get organized. Organizing your spending diet around a few simple steps could go a long way to pulling the whole thing off – don't forget, diets of any kind are notoriously difficult to maintain. Stay calm, get organized, stay focused and start saving. You've been gorging on impulse purchases and the result is an emaciated checking account (the poor savings account is probably on life support). Now it's time to go on a spending diet in order to fatten it up. Like a food diet, a spending diet requires a lot of self-discipline and will-power to follow through on. In order to get a handle on your big picture, you need to first sit down and do a comprehensive analysis of your spending. Get out the pen and paper (or even better, your clever budgeting software) and itemize it all. 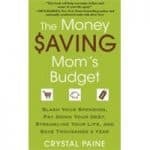 A thorough examination of your spending habits will then demand their prioritization. Rent or mortgage payments, car payments, life insurance, phone bills – all those fixed expenses can be put into your “necessary” column. As for the rest, put it under the “discretionary” column. Now comes the hard part. If you're determined to cut out as much unnecessary spending as possible, then you need to examine your discretionary expenses — and cut them. That's it. Shoot for a “Zero-Dollar Day” Have you ever tried to get through a day without spending anything? It's tough, but not impossible. Make your food at home before work, don't get snacks or coffee (unless they're free, of course) and then put off buying whatever it is you think you might need until you really have to. 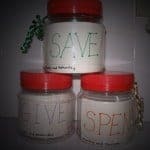 See the Money by Saving It Every day, take the amount of money that you would have spent on items you truly don't need and put it somewhere safe, like your savings account. If you can't get to your bank everyday, put the money in a place only you know about and take it to the bank when you can. Whether you put the money in your account every day or once a week, you'll be able to watch it grow. Once it's made “real” like that, your motivation will more than likely start to snowball. With faith, determination and hard work, peace of mind can't be too far behind. I like to think of a zero spending day as more of a fast than a diet. But honestly operating on the old cash envelopes and the zero based budget has the same results for our household. Zero dollar days are a good idea – Maybe even stretching that to 3 or 4 days if possible just to see if you could do it. I think we’d be amazed at how well we could do if we did that a couple times a month. Jason @ Redeeming Riches´s last post ..Are You Making These 5 Tax-Filing Mistakes? I love the STEPS …especially tracking expenses suggestion…a great sequence to follow for someone wanting to get on the right track financially. Zero spending days can certainly be accomplished if you prepare in advance for them and be disciplined enough to follow through. Ironically, I find that I am able to meet the challenge when I am fasting. I strongly recommend having a weekend a month where you have to use only food you’ve got in your cupboards etc. (At the most, you’re allowed to buy some milk or similar). It’s incredible the old cans and tubs of stuff you find and use up this way. I hate throwing food out, morally as much as economically. Monevator´s last post ..Should you back Bolton in the China shop? I like Monevator’s idea of eating out of the pantry! I really need to work on using up some food from there! Mrs. Money´s last post ..How Does Redbox Make Money? This is a great analogy because the journey of weight loss is very much the same as the journey to financial freedom. Not as much sacrifice as you think, and much more about changing habits and mindsets. I will definitely start doing this….thanks for the advice! I like your idea of a $0 day. Take it to the next level, try a week, or even a month!